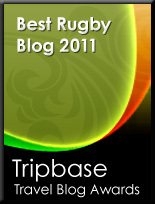 TOTAL FLANKER...a rugby blog: Alive! Found this on scrum.com - a ESPN account of the amazing story of the members of the Old Christians rugby club who survived a 72 day ordeal in the Andes after their plane crashed in the mountains in 1972. The programme was made to celebrate the 35th anniversary of their rescue (and so, my keen mathematical mind informs me, must have been first broadcast last year).